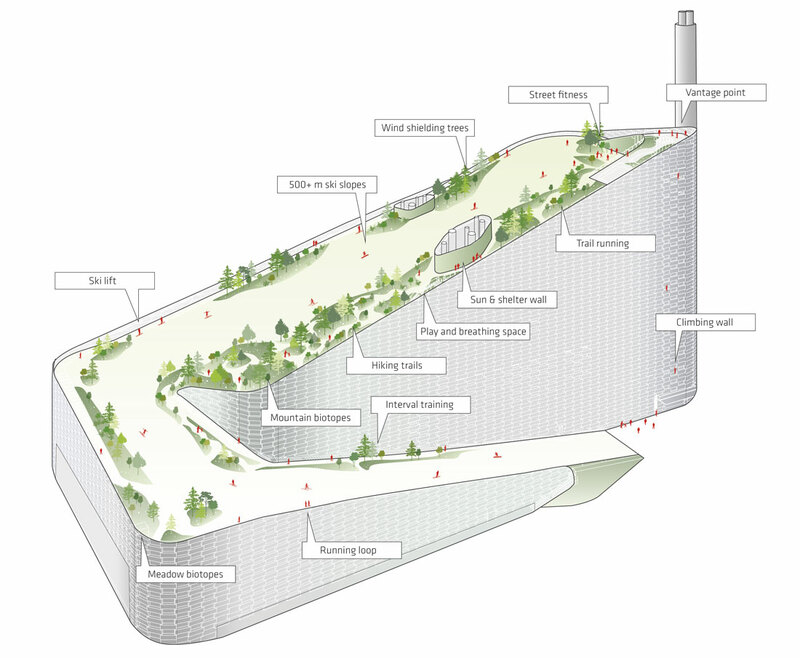 Amager Resource Center and SLA have released the final design drawings for the forthcoming Amager Bakke Waste-to-Energy Plant Rooftop Park: the 16,000 sqm combined ski slope and rooftop activity landscape that will adorn Copenhagen’s newest and most sustainable waste-to-energy plant as a public and nature-filled green rooftop park. 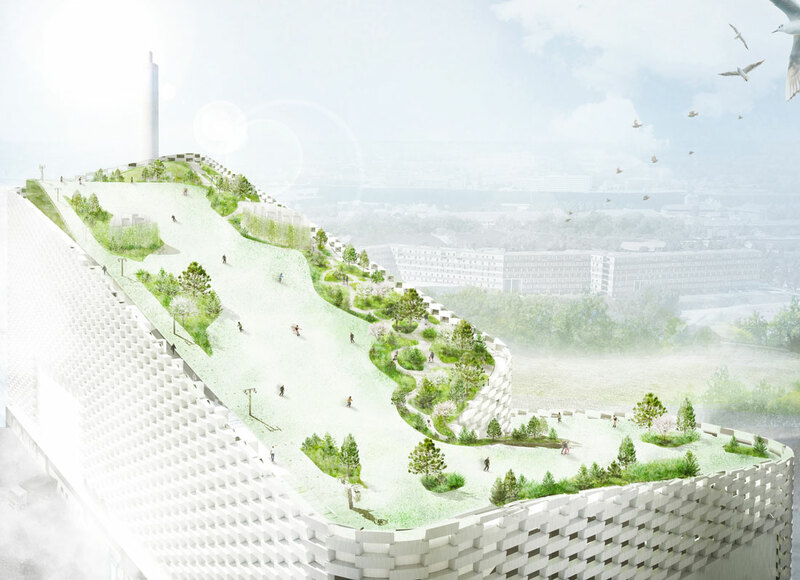 Initially masterplanned by BIG – Bjarke Ingels Group, the rooftop activity park has been designed by Danish city nature experts and landscape architects, SLA. 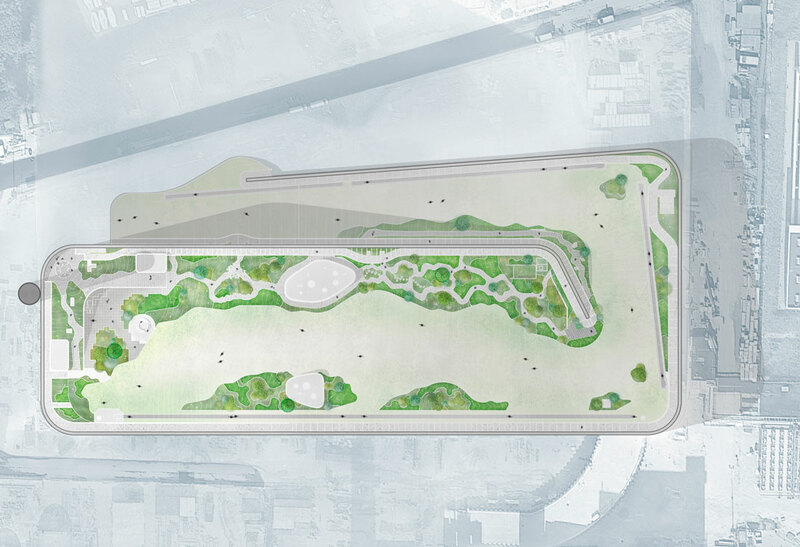 When completed in September 2018, the green rooftop park will provide a host of outdoor activities for Copenhageners and visitors alike: hiking trails, playgrounds, street fitness activities, trail running, vantage points, climbing walls and shelters – as well as 500+ meters of ski slopes designed by BIG. 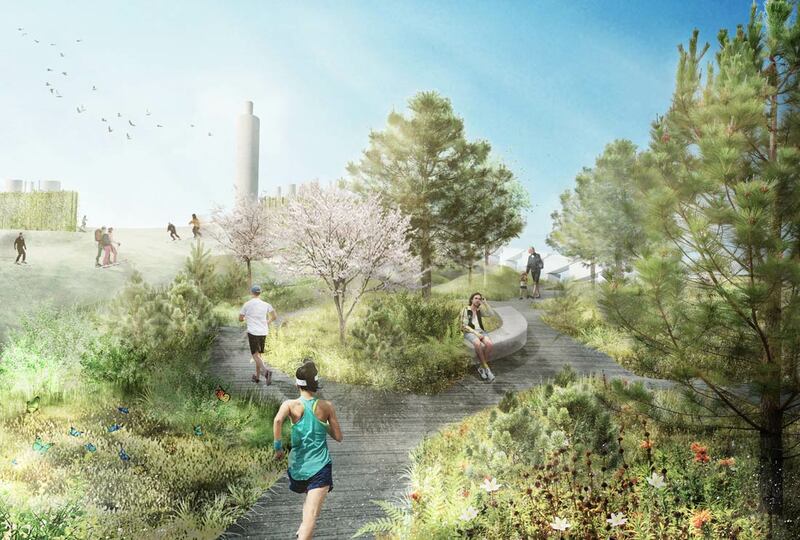 Creating a nature-filled activity park on top of the 88-meter-tall waste-to-energy plant is a project without precedents: the extremely steep slope of the roof has put great demands on the planting design and the construction of the landscape, and the complicated wind and weather conditions 88 meters above the ground create difficult living conditions for trees and plants. The heat from the large energy boilers under the roof had to be handled (in some places, it creates ground temperatures of around 60 degrees Celsius), and a variety of security and safety demands had to be addressed. To solve these challenges, SLA has worked with a wide range of nature-based design solutions, testing types of vegetation and materials in 1:1 experiments. Different nature biotopes have been specially selected to accommodate the challenging living conditions of the roof and to provide an optimal microclimate and wind shelter for the visitors. 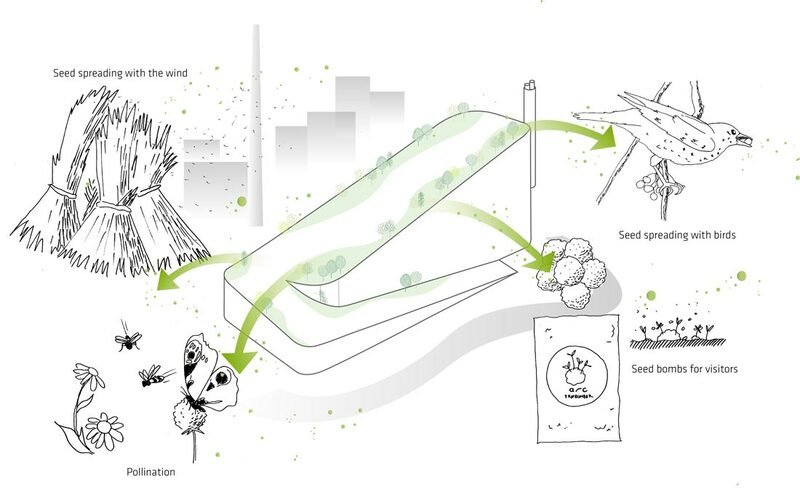 The result is a highly wild, lush and resilient green nature design which allows for year-round use of the rooftop while providing a sensuous and diverse environment as a foundation for all the rooftop’s activities. However, SLA’s project will not only provide green attractions on the rooftop. The nature design has been devised so it will naturally spread into the surrounding city. The Amager Bakke Rooftop Park will break ground before Christmas and will be completed in September 2018.